The CEH-Certified Ethical Hacker Course by EC Council is the most comprehensive course for the network security professionals. This globally acceptable certification authenticates the applied knowledge of the network administrators, auditors and professionals from a security perspective. A CEH-Certified Ethical Hacker Course will help you to think from the malicious hacker’s viewpoint but try to penetrate the network, ethically and list out the loopholes and vulnerabilities. 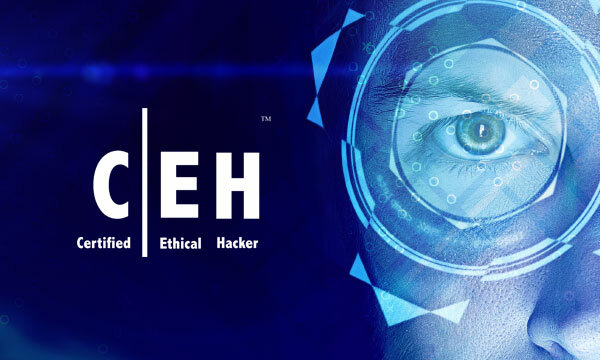 ​ The CEH-Certified Ethical Hacker Course will teach the students about hacking from an entirely practical stand-point following the principle of ‘Learning by Doing’. With the complete Laboratory network access, you will be performing all the steps from scanning the network to testing it critically and finally hacking it LIVE before suggesting the remedial actions. The practical approach gives the student an in-depth knowledge about the hacking tools and techniques. The simulated lab environment will demonstrate how actual hackers percolate through the multi-level defenses of the organization. Apart from the steps of hacking, this course teaches you additionally about the Buffer Overflows, Creating a Virus, DDoS attacks, Intrusion Detection techniques and Social Engineering among others. 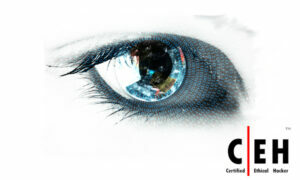 Gain an understanding of risks and vulnerabilities. Gain insight into how exploits evolve. Learn about the tools of the trade. The Certified Ethical Hacker know how to think and act like a hacker in order to identify the weaknesses in their organization network before malicious intruders can take advantage of them. With the increased sophistication of cyber attacks and rise of corporate & government espionage, the demand for Cyber Security experts is increasing across the world. Ethical Hacking has become the need of the hour for not only corporate organizations, but also for government departments. Various organizations including banks, hotels, airlines, telecom companies, ITES companies, outsourcing units, retail chains, Internet companies, E-Commerce ventures, police departments, government agency and others are hiring full time Cyber Security experts to improve the security of their network infrastructure. The best part about working in the Cyber Security Industry is your exciting job profile which will require you to test, audit, manage and improve the security of networks, servers and applications. Moreover, the constantly changing dynamic nature of the Security Industry also means that you will have the opportunity to constantly learn new things and hone your skills. This Course prepares you for the globally accepted CEH Certification from EC Council, which makes you eligible to work in the information security domain.